Welcome to (so far) the only Daily Syndrome issue with a 7 in its title! After releasing this issue, it then dawned on my that it is a week. A whole week! In order to celebrate this number, this issue will be written in invisible ink! Then it will be written again on the computer so that it can be uploaded to the internet. There is nothing useful about writing invisible things on the internet. There is also nothing useful about writing anything on the internet, other than to make millions. Like me. This issue contains an in-depth discussion of society, in various words. The variety of words is quite high, although it is probably no different in variation than previous issues. But if it's a variety of words you're after, why not go read a dictionary? Ah, I see. It's too long and boring. Which this most certainly is not. Of course not. My articles are growing longer. In order to stop everyone from getting bored, there are only 2 articles featuring in today's issue, but the total size of the newspaper is still at full size (almost). I won't be mean and take things away from you like that! Of course, if you're one of those people who doesn't like to read things that are longer than a certain appendage of yours, then I can't help you. As usual with the Daily Syndrome, you can join the Group, where you can find hundreds of posts (one) detailing how to become world famous. It also has a nice logo, so if that's something you like then I'd recommend it. You could even end up with your own article featured in a forthcoming issue! So, I suggest you get into there and put your fingers all over my join button. I walked down a street today. This is not unusual in itself, it happens most days. A few times a day sometimes, but it depends what I need to do. There were other people on the street. Again, this isn't strange at all. There are a lot of people in the world, and I live in a large city, where they appear to be concentrated. The thing that I noticed isn't unusual either, which is what is the worst thing about it. The world is a very big place, and I'm only talking about a very small paved section, but I'm sure that this is similar all across the globe. Nobody in the world ever smiles would be a dramatic thing to say, and it would be a huge generalisation. It wouldn't be far from the truth though. I made a mental note every time I saw someone who looked even a little happy. I noted 6, and around 5000 people must have passed me while I was munching on my Toblerone. This is an unhappy statistic. I'd guess you'd be more likely to be punched in the face just walking down the street than for someone to come up to you and tell you a joke. However, something happened a couple of weeks ago that was pretty cool. I was walking along the High Street, when I heard music. Pretty loud music. Inquisitively I walked, hoping to find the source of the music, and this I found! It was coming from a shop. And outside the shop were 2 people handing out balloons filled with helium to random passers-by. There was a party in the street. It was fun. More things like this need to happen at various times. The world is too unhappy. Think of everything in the world. Now narrow that down to only things that you love. Chances are that there are still a lot of things there. So narrow this down again to food that you love. Probably still a lot of things, so I'm just going to say it, otherwise this would last forever. I can be fairly certain in saying that you enjoy bacon. A lot of people do. There is something invigorating about the smell of bacon. It can work magic. Why am I talking about bacon? I'm not. I'm typing. There is a difference, and quite a large one, but that is a tangent that it's better not to explore. Although you should have noticed that you're not listening, you're reading. Doesn't matter. I'm getting flustered now. I have created something new! Another invention from the offices of the Daily Syndrome! You're probably wondering why I keep inventing things, and why all of them are so terrible. That's because I am trying to change the world! And make it better! And they're terrible because I am only a beginner inventor. They'll improve, I promise. Baconshakes! Bacon + milk + liquified. It would be molten glory. Imagine walking to the fridge and sampling its liquid genius. Suckling the cup's milky pink produce. I don't think I'd ever be able to drink another thing again. And that concludes today's issue! You can help the Daily Syndrome by getting involved with a guest article, or just a few words that you want to be included. The details on how to take part are over at the Group page. Or, of course, you could head over to the FileFront Forums Tinychat room where I'm often sitting talking about ridiculous things. To advertise here, please contact Muse Syndrome by PM. Advertisements subject to terms, conditions and electrification. My anti-fag missiles are cheap. Buy today! The anti-fag missle is pointing to my advertisement. Is there some meaning there or is it just coincidence? I find it rather offensive, and would like the direction it's pointing in to be changed. 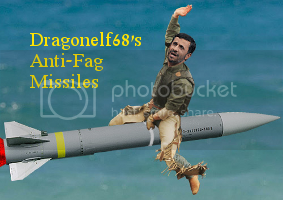 Even my anti-fag missile advertisements are anti-fag. They point toward fags. Dragonelf68;5417074My anti-fag missiles are cheap. Buy today! He doesn't sell to fags. It's a liability issue. redgroupclan;5417189He doesn't sell to fags. It's a liability issue. 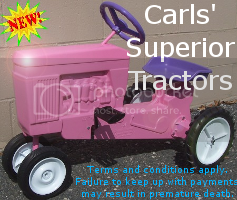 Hes working on the proper permits, they should be out on the market soon, by years end.